This purchase is for a SIZE ENLARGEMENT ONLY. 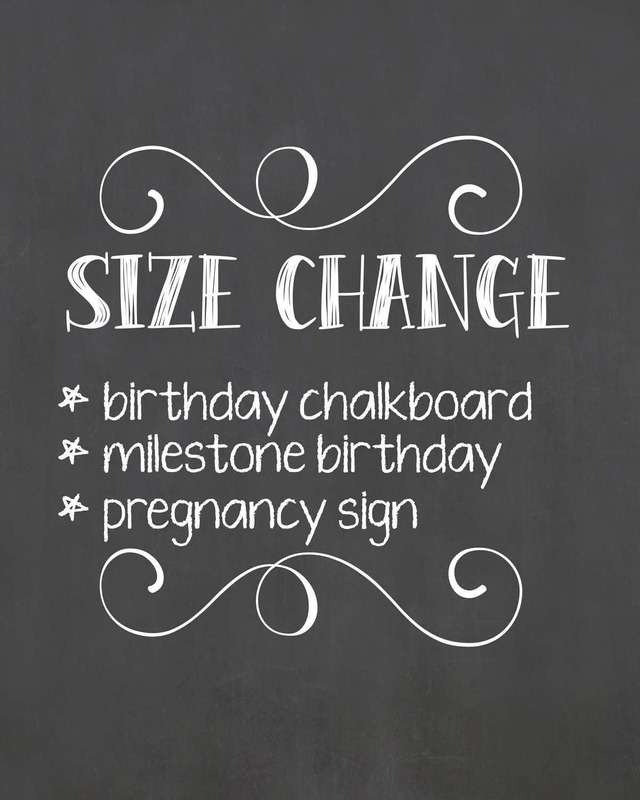 If you have ALREADY ordered a birthday chalkboard, milestone birthday or pregnancy announcement sign and would now like a bigger size, you'll need to purchase this item before I proceed with your order (i.e. ordered a 16x20 but now want a 20x30).